NEW While some may think all basters are created equally, this one is truly special. It literally stands up! The standing feature is significant because it allows the fat to separate from the meat juices - giving you a healthier meal and a cleaner countertop. 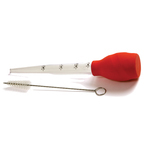 And speaking of clean, the baster comes with a specially designed cleaning brush which will allow to easily clean the baster when you are finished using it. 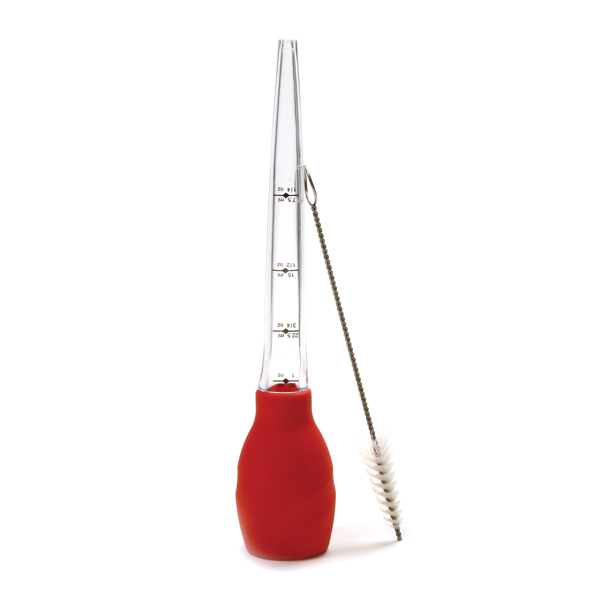 The cleaning brush conveniently stores inside the BPA free plastic baster. 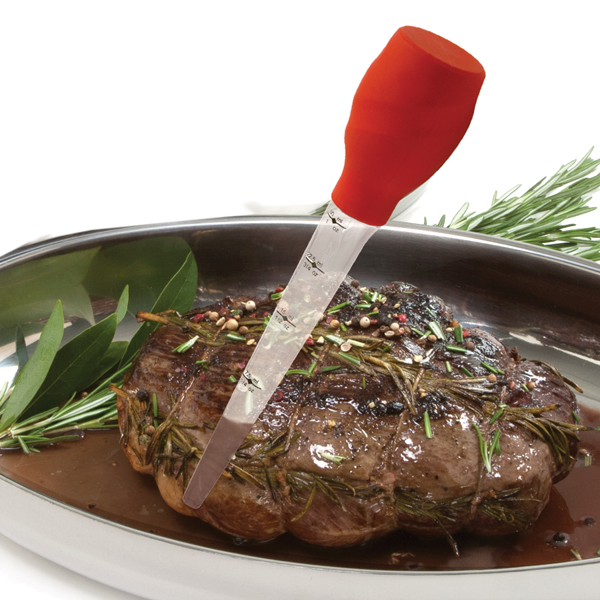 This device is FDA approved and high heat resistant to 500°F/260°C. 1oz / 30ml capacity.